The Br. Andrew Gonzalez Hall houses, on the ground floor, an outdoor playground, the Pre-Kinder to Kinder classrooms, and Conference Room. On the second floor, you can find the Learning Resource Center, Robotics Room, Pre-Kinder and Kinder Faculty Room and the Office of the Vice Principal for Operations for Lower Grades. In the basement of the Br. Miguel Hall, you will find the Lower Grades Chapel, Art Room, Music Room, Grades 4-5 Learning Resource Center, Cafeteria annex, Mimeographing Room, and the Staff Union Office. On the first floor, you will find the Satellite Medical Clinic, classrooms for Grades 1A to 1H, Multipurpose Hall, Courtyard, Gym 5 and an outdoor playground. On the second floor, you will find another Grade 1-3 Learning Resource Center and the LRC Non-Print Office. The second floor also houses the Faculty Room, and the following offices: School Counseling, MSSN Coordinator, Upper Grades Student Formation Officer, Subject Coordinators, and the Upper Grades Vice Principal for Operations. On the first floor of the Br. Felix Masson Hall, you will find the classrooms for Grades 2A to 2I and 3A to 3B, Music, GEM and Special Filipino Rooms. In this area, you will also see the Interdisciplinary Botanical Garden, an outdoor playground, and the Satellite Dental Clinic. 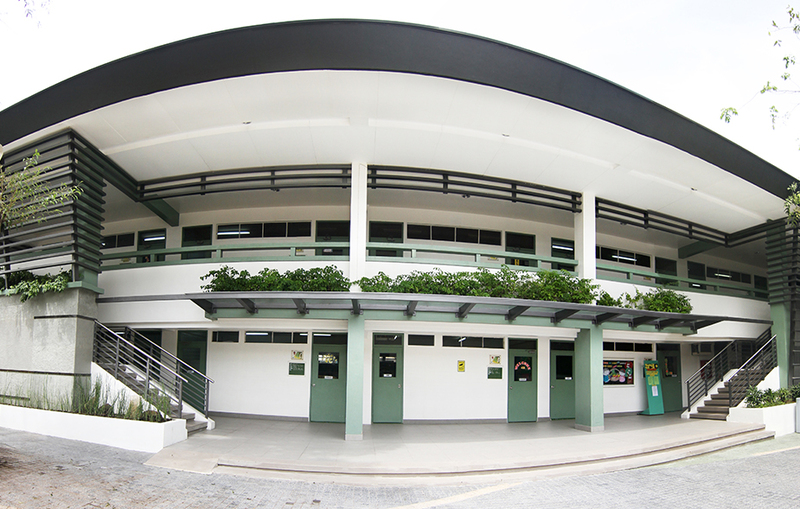 On the second floor, you will find classrooms for Grade 3C to 3I, 4A to 4I classrooms, and the ISTS Extension Office. The Science Laboratory and Computer Technology classroom are also in this area. 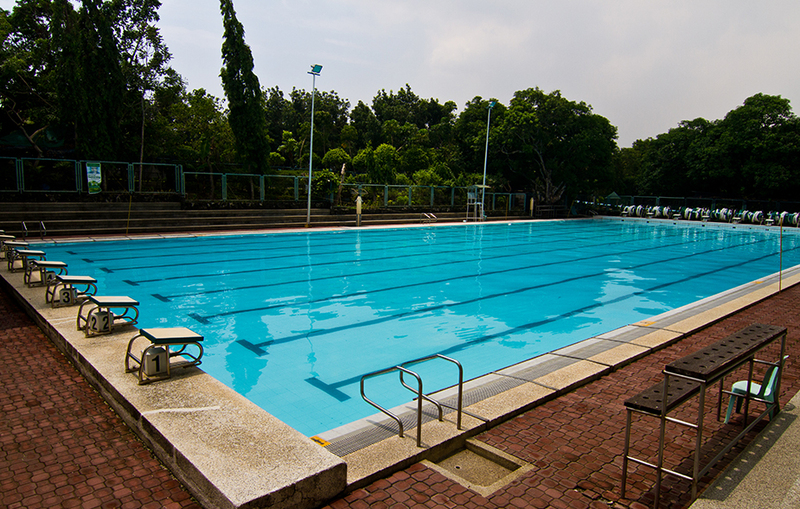 The Olympic-sized swimming pool is located across the St. Brother Miguel Febres Hall and beside the Softball Field. You will find here a Dolphin mural of local artist A.G. Saño. The Sports Pavilion is the main gym located in front of St. Joseph Building. In the basement, you can find the Gym and Weights Room, Aerobics Room, Table Tennis Room, Archery Room, Parents Association (PA) Office and PA-Sports Development Foundation Office. On the ground floor, you can find the main basketball court, volleyball courts, Sports Development Office, Coaches Lounge, Physical Therapy Room, and the Physical Education Faculty Room. The facility also boasts of a half-oval track on the second floor. 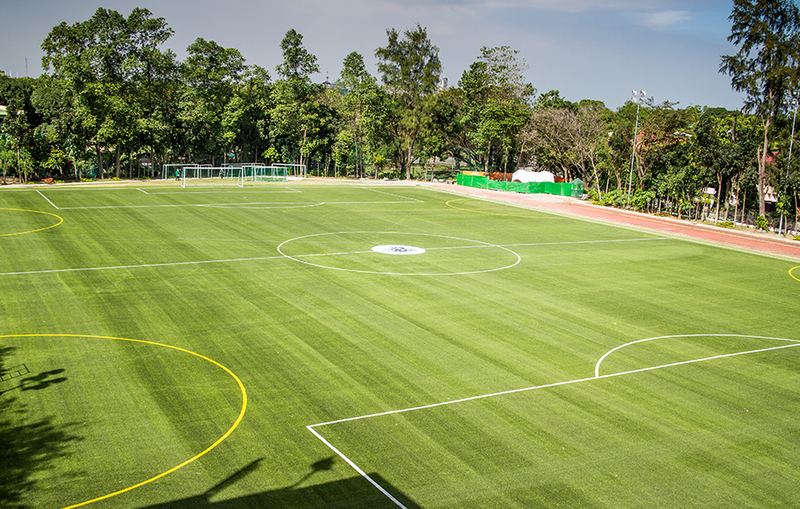 The DLSZ Globe Football Field, which is adjacent to the Sports Pavilion, boasts of an all-weather artificial turf. Beside the field is a 100M running track and an open basketball court. The St. Mutien Marie Administration Building, which is near Maria Christian Street (Gate 3), houses most of the administration offices. On the first floor, you can find the Instructional Performance and Assessment Office and the Campus Development & Services Office. On the second floor, you can find the Office of the President, as well as the following: Human Resource Management and Development, Grade School Principal and the High School Vice Principal for Academics, the Quality Assurance and Monitoring, and the Don Enrique Zobel Board Room. 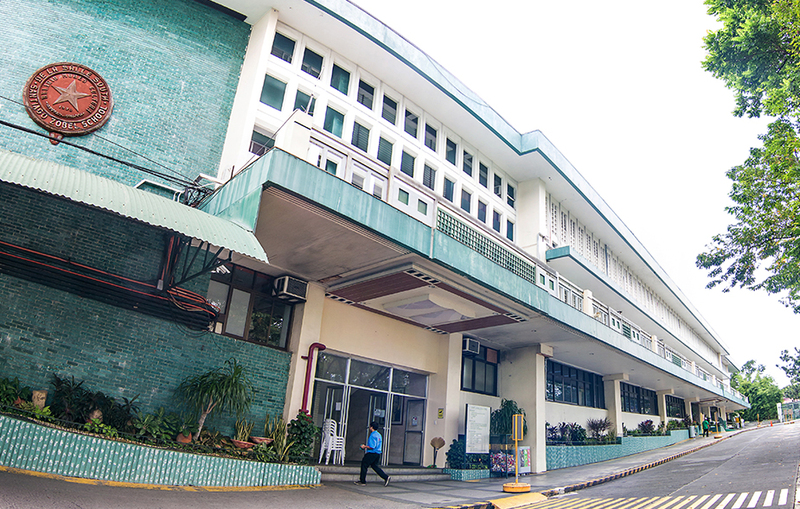 The St. Mutien Marie Building Annex houses, on the lower ground, the Animo Exchange Bookstore, the Student Publications Office, the Executive Board Room and the Office of the Lasallian Formation and Mission Department Director. On the upper ground, you can find the Art Room for the Juniors and Seniors, a 50-seater Audiovisual Room, and the Purchasing Office. On the second floor, you can find these offices: Advancement and Communications, Academic Services Department Director, Information System and Technological Services, the Physical Facilities and Electro-Mechanical, the Administrative Services Department Director, as well as the Centennial Lounge, and the Robotics Room. The St. La Salle Building or the main building, which fronts the University Avenue (Gate 2), houses the Grade 6 to Fourth Year High School classrooms. The lower ground is where you will find the following: Admissions and Registrar, Finance Department and Cashier, Spark Museum, Memorabilia and Archives Room, Student Clubs and Activities Office, iNook, E-Classroom, Grade 6 to High School Learning Resource Center (LRC) and the LRC Non-Print. Classrooms for Grades 6A to 6I, 7A to 7I, and 8A to 8D, Grades 6 and 7 Student Counseling Rooms, Grade School Music Room, Mimeographing Room, Science and Technology Lobby, Debbie Decena Auditorium (DDA), the main Dental and Medical Clinic, and Hardin ng Batang Lasalyano. Classroom for Grades 8E to 8I, 9A to 9I, 10A to 10B and the Grades 8 to 9 Student Counseling Rooms, the office of the School Counseling Head, the Faulty Room, the Subject Coordinators’ Office and the Office of the High School Vice Principal for Operations. Classrooms for Grade 10C to 10I, Junior A to I, Senior A to I, High School GEM Room, Grade School and High School Special Filipino Room, Sophomore, Junior and Senior Counseling Rooms, and Office of the High School Student Formation Officers. 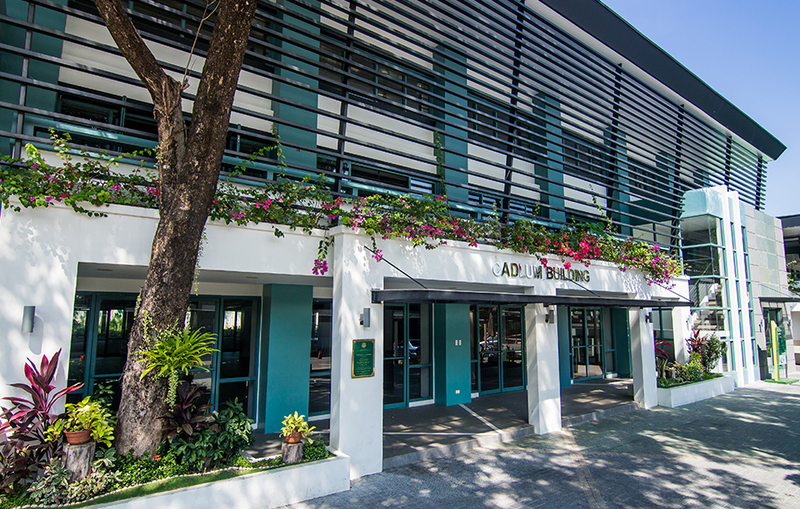 The St. Joseph Building is across the Sports Pavilion and houses on the first floor, the classrooms for Grade 5A to 5D, Grade 5 Faculty Room and Grade 5 Student Counseling Room. On the second floor, you can find the classrooms for Grade 5E to 5I. Behind it is the Home Economics Building which houses on the first floor, the High School Food Laboratory and on the second floor, the Grade School Food Laboratory. Adjacent to the St. Joseph Building are the following: Sewing Room, Handicrafts Rooms, Automotive Room and Electronic Room. On the second floor is the Gym 3, Taekwondo Room, and beside it are the Br. Rafael Donato Night High School (BRafeNHS) Faculty Room and the Office of the BRafeNHS Administrators. The St. Leo Flavius Hall houses, on the first floor, the main canteen and on the second floor the Employees Lounge, Canteen Conference Room and R-Pod, a center for rest, relaxation and rejuvenation for all Lasallian Partners. Adjacent to this is the Edgardo Cadlum Hall where, on the first floor, you can find the Cafeteria extension and on the second floor, the Gym 2 basketball court. 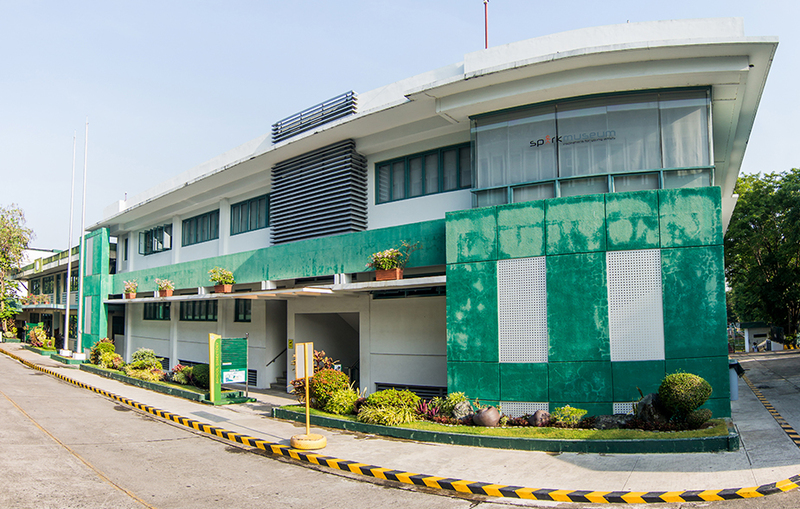 St. La Salle Building houses some of the Next Generation Blended Learning (NxGBL) Classrooms which are reconfigured to better facilitate the blended learning approach. 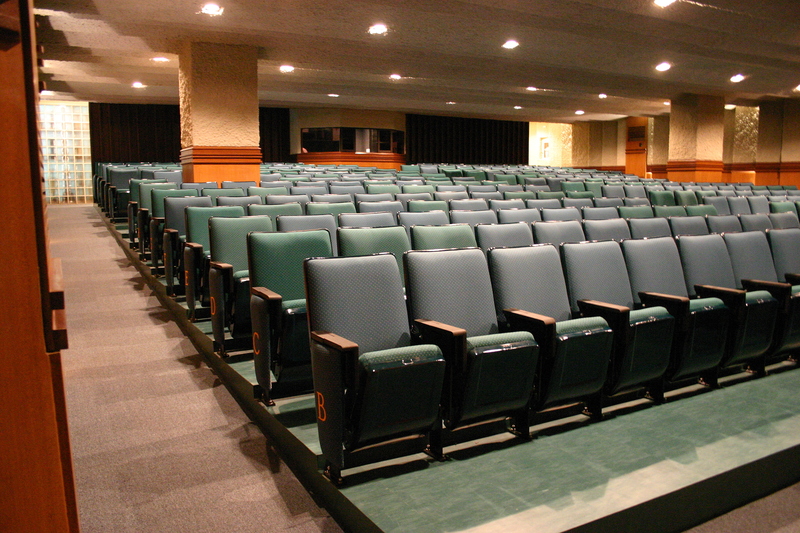 The Debbie Decena Auditorium is located at the center of the St. La Salle Building. 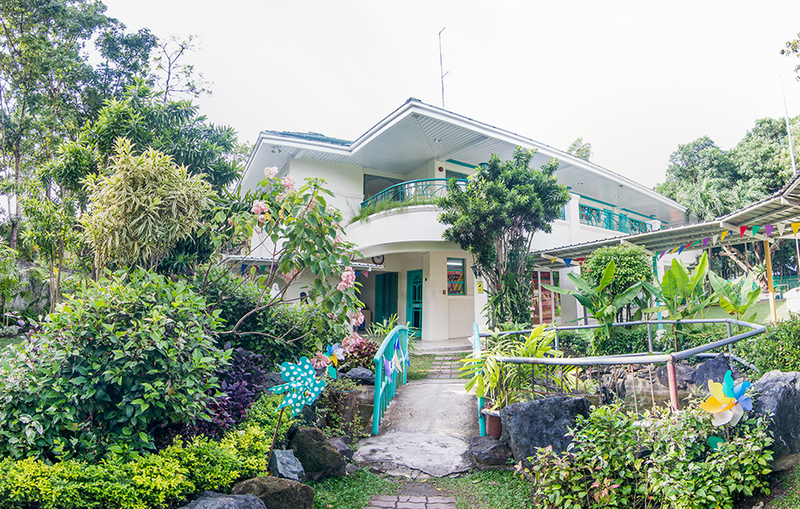 It is also adjacent to the Hardin ng Batang Lasalyano and near the main Dental and Medical Clinic. 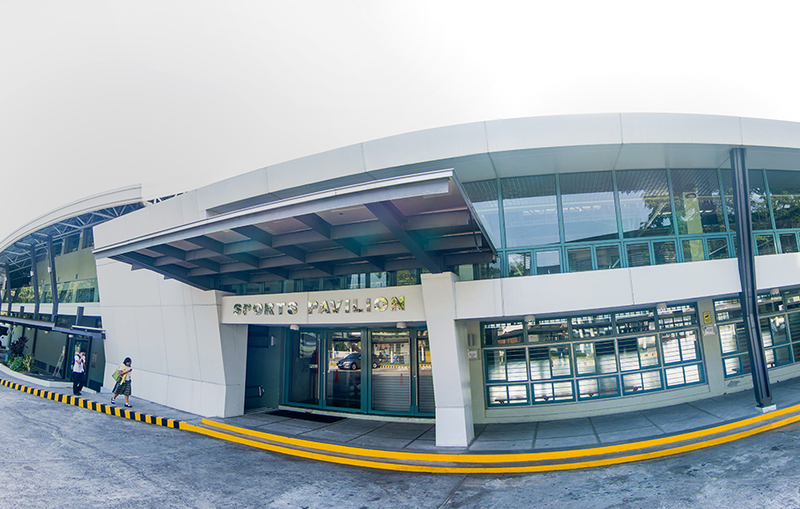 Dubbed as the CCP of the South, the Angelo King Center for Performing Arts (CPA) houses in its basement the Orchestra Room, Chorale Room, Piano Room and Violin Room. 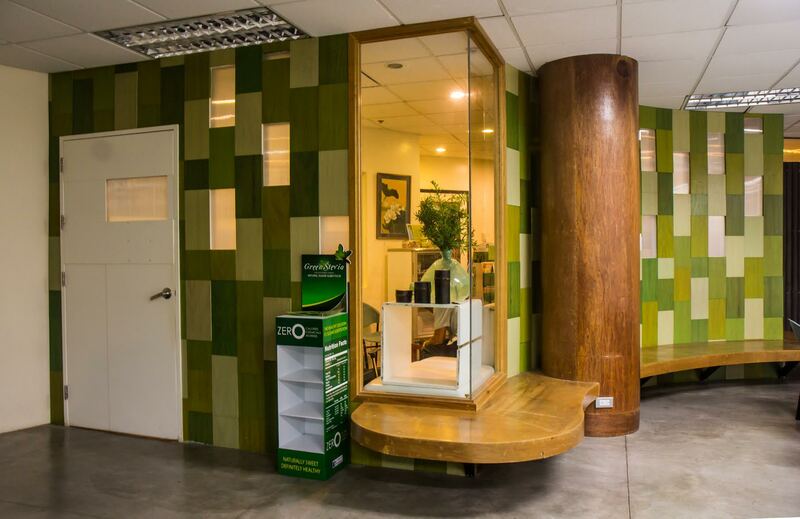 On the first floor, you will find the CPA Lobby, the Sylvia P. Lina Theater and the Cultural Affairs Office. 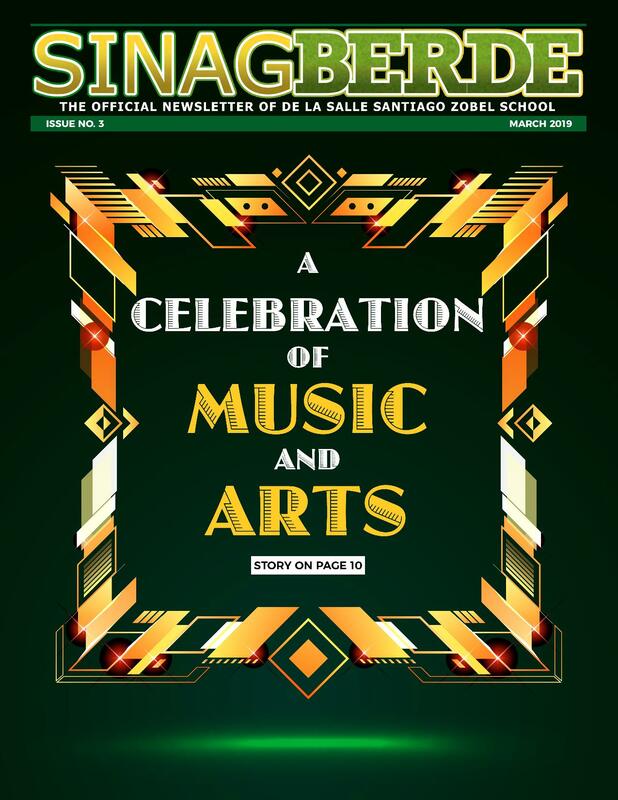 On the second floor, you will find the Strings Rooms for Rondalla and Violin while on the third floor, you will find the Dance Studio and Art Rooms. 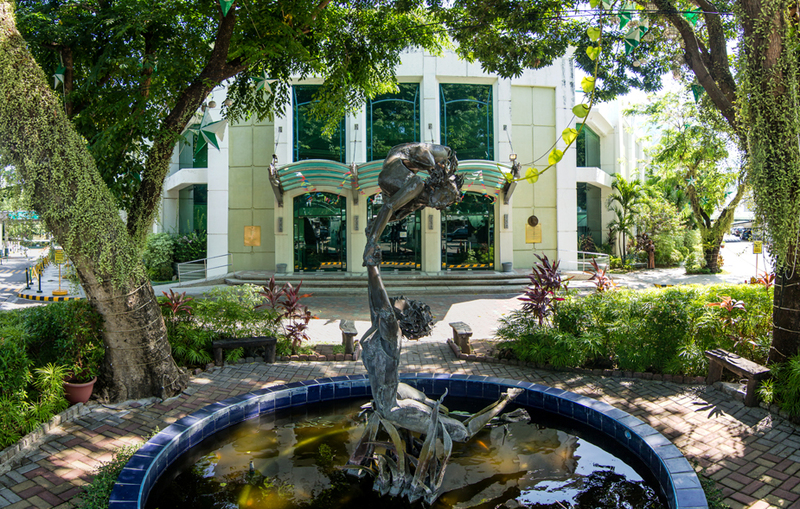 On the grounds right in front of the CPA, you will find the Saliw sa Hangin Mini Garden and the Brothers’ Park, featuring the life-size statues of Br. Ceci Hojilla FSC and Br. Felix Masson FSC. Right behind the CPA building are the Alumni Association and the Independent Teachers Union offices. The Br. 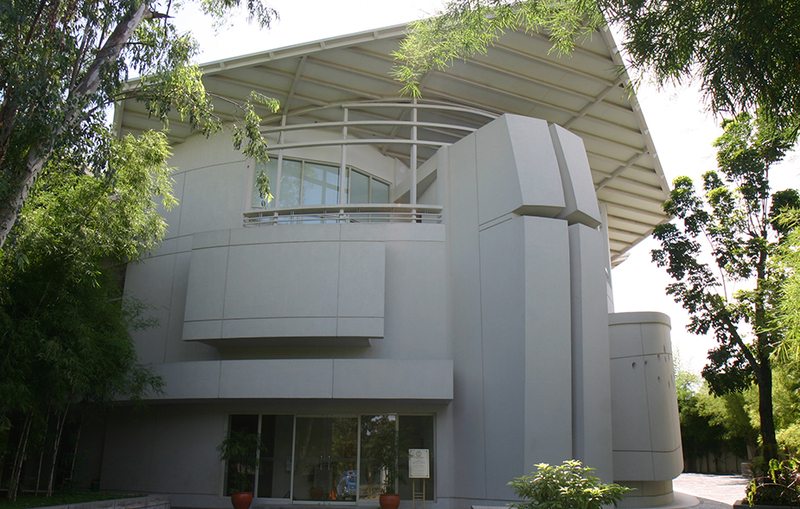 Ceci Hojilla FSC Center for Lasallian Formation or CLF (near Gate 1) houses the Our Lady of the Star Chapel and below it is the CLF Hall, two (2) Recollection Rooms, and the Family Life Wellness Institute (FLWI). The CLF also houses the Campus Ministry and the Social Action offices. The CLF also has the Parmenie, a dormitory that can accommodate 80 guests. Located on the second floor of the Br. 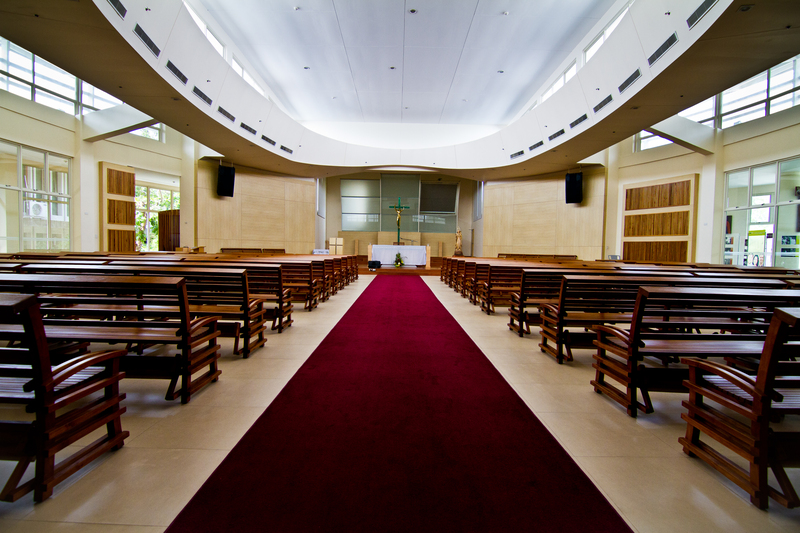 Ceci Hojilla FSC Center for Lasallian Formation is the Our Lady of the Star Chapel. It has its own choir loft and can accommodate around 500 individuals. The Family Life Wellness Institute (FLWI) is located below the Chapel. It provides family counseling and therapy, health and nutrition consultation, and other wellness-related services.